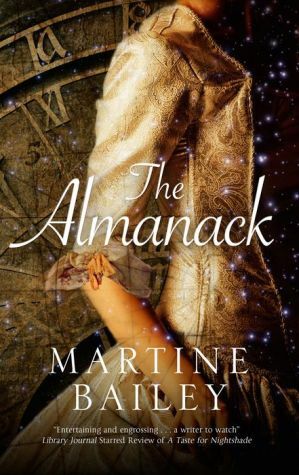 The philosophy of time, destiny and the stars pervade this intricate historical mystery in which a young woman determines to avenge her mother’s death. 1752, Midsummer. Following a desperate summons from her mother, Tabitha Hart departs London for her home village of Netherlea – only to discover that her mother has drowned. Determined to discover the truth about the Widow Hart’s death, Tabitha consults her almanack and uncovers a series of cryptic notes describing her mother’s terror of someone she names only as ‘D’. Teaming up with young writer Nat Starling, Tabitha begins a race against time to unmask ‘D’ before more deaths follow. But as the summer draws to a close and the snow sets in, cutting off Netherlea from the outside world, Tabitha and Nat are forced to face the darkest hours of their lives. With the year predicted to meet a ‘violent, bloody end’’ will Tabitha survive long enough to bring her mother’s killer to justice?